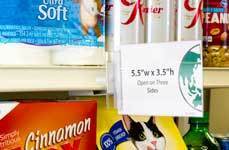 Protect paper signs and keep them looking new throughout the year using our clear sign sleeves and sign protectors for retail merchandising and warehouse organization. 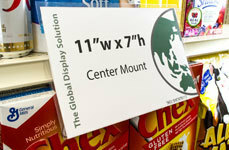 Our sign sleeves attach to gondola price channels, slide beneath products, or can hang from store fixtures. Eliminate the wasteful and costly lamination process by using Sign Guard Protectors. 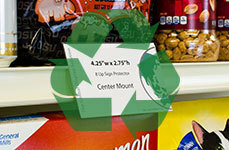 Pick from our eco-friendly line of recycle number one plastics or our Economy line of PVC shelf edge Sign Holders.